I'm Here. I'm Queer. What the Hell do I read? : How am I celebrating Mardis Gras? I'm hanging out at Shelli's "Market My Words" ...and I'm even vlogging there! How am I celebrating Mardis Gras? I'm hanging out at Shelli's "Market My Words" ...and I'm even vlogging there! So all this week Shelli Johannes is running contests (with prizes like literary agent critiques and consultations!) There are daily interviews and lots of great information on marketing yourself and your books... even if you're not yet published. Today's installment of her Book Marketing Mardis Gras Celebration features 2 great vlogs - one by the amazing Greg Pincus on "The Twitter Golden Rule," and one on blogging for authors by... ahem, well, by ME! So, come on - what are you waiting for? Throw on some plastic beads and go check it out! Whoo-Hoo! Mardis Gras!!! Hi Victoria - there's lots of hyperlinks to go check out throughout it, so yes, for now, it's only available as an e-book. 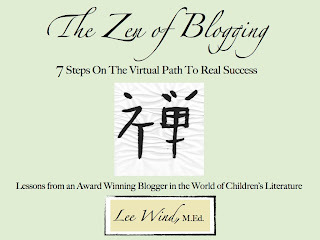 there's lots more info on it here, at the zen of blogging website!